well this has been a kind of unplanned absence from the blog. 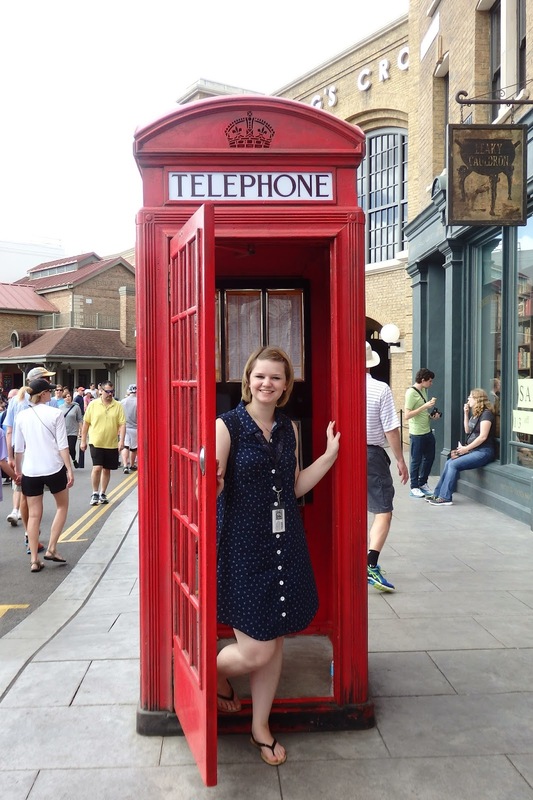 In the time since I blogged last, I’ve been to orlando! It was so magical. 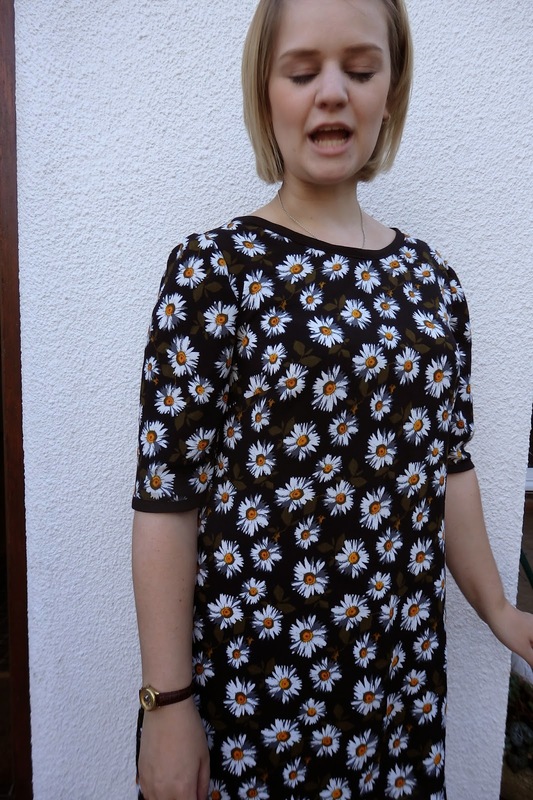 I wore lots of me-made clothes and I’m glad I made so much! 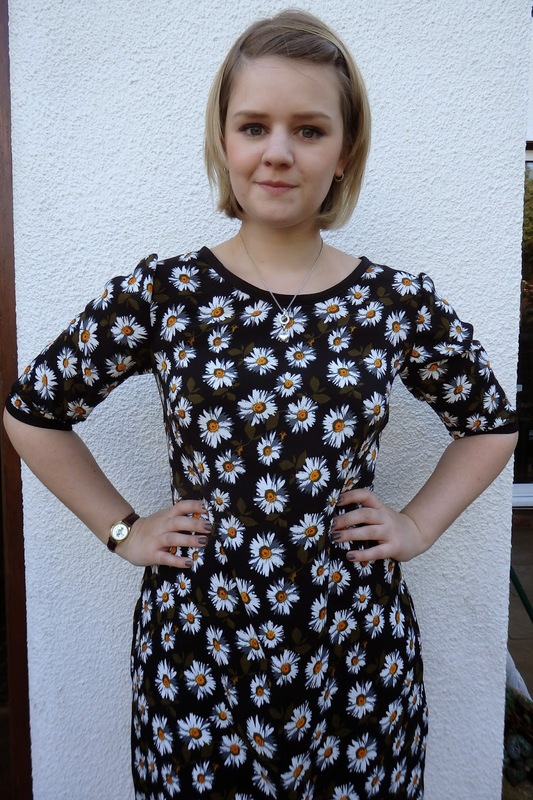 Moneta dresses saved my holiday (chubby legs and the hems of my shorts = excessive leg rub. Dubbed “chub rub”. not comfortable!) and my alder shirtdress got a few wears too. that connects you to the ministry of magic. 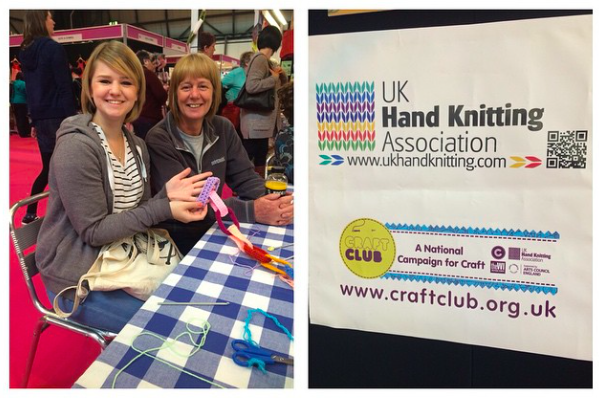 Two days after we got back, I went to the stitching and hobbycrafts show at the NEC with my mom. We added a crocheted loop to the longest wool balls in the world (I don’t know this for sure, but probably). 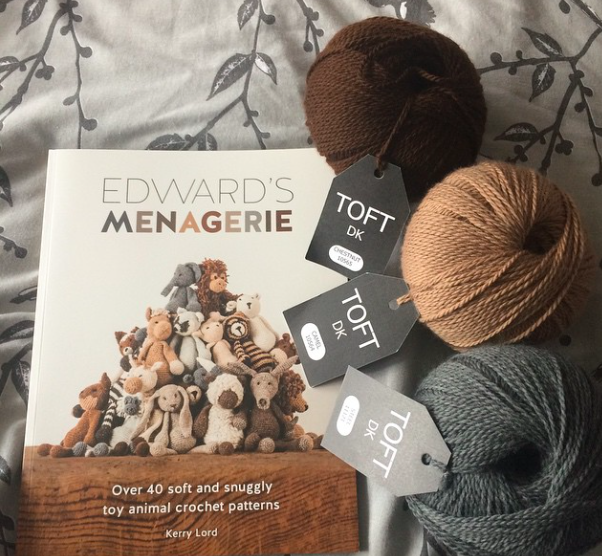 I got some of the TOFT alpaca wool to make a few animals from the Edwards menagerie book which my sister bought me for Christmas. 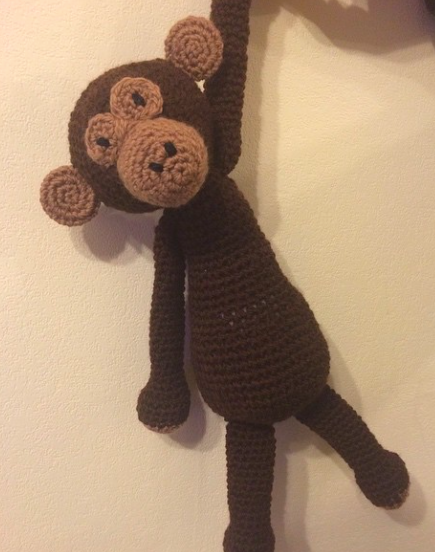 I made her this monkey, he’s called benedict in the book. Since then I’ve started making the little rabbit too. Sewing really was low on my list of priorities when I got back from america. I put on instagram about having a fabric sale but then was far too hung over to actually do the said fabric sale, so I’ll have to do it one day soon. 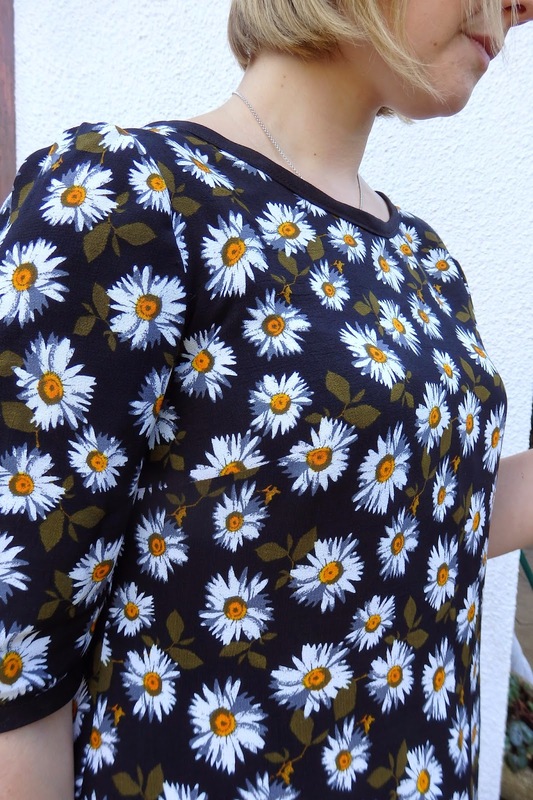 When I was thinking about my stash, I knew had this really cute daisy fabric, which was going to become either another holly jumpsuit or some culottes. Both options were pretty holiday orientated, and since I no longer have a holiday in the near future, I thought I better think of something else. I need things for work desperately, so I bought the Colette Laurel pattern. 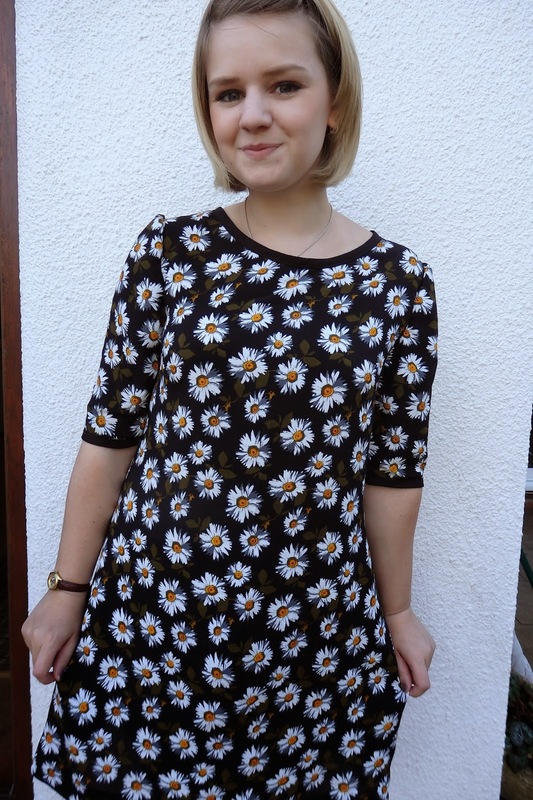 I love a shift dress (like really love them) but RTW ones never cater for my size. They either normally fit my bust but are super tight across my hips, or fit across my hips (by going two sizes bigger) but then swamp my bust and shoulders. So here, the answer to my shifty prayers, the laurel. I cut a 6 for the bust, 10 for the waist and 12 for the hips. I also cut a 12 for the sleeves and under arm, which I’m glad I did. My arms are quite wide considering my bust size is narrow compared to the rest of me! Annoying. Another reason why RTW just isn’t me. This crepe imitated the style of dress in it’s movements; it was a shifty mother ‘ucker. It was quite annoying to cut out. I hate cutting out and transferring markings at the best of times, especially when the fabric just won’t have it! 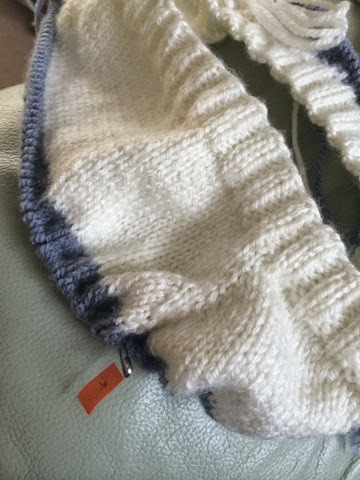 I used my walking foot to stop it moving when I was sewing. If you don’t have one, go and buy one. 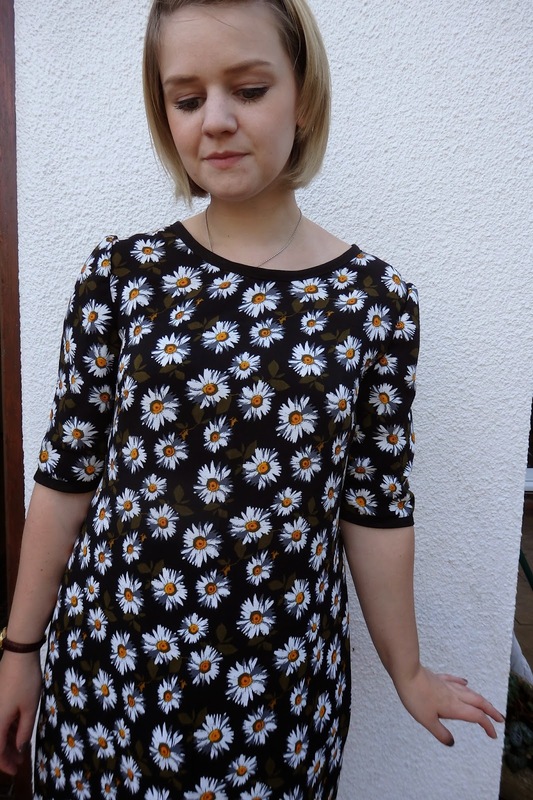 Best £35 I ever spent, sewing machine wise. I’d never sewn them before, so I’m not sure how perfect my back darting is, but the shape seems to fit my figure okay so I’ll just be happy with it! The only thing that caused me real hassle when I was making this was setting in the sleeves. It was honestly like I’d never done it before; I don’t know what was going on! I tried a few times then decided to leave it for the next day, I’m not good at doing things right when I’m already frustrated. I think the sewing gods thought they would make it up to me today as my zip went in perfectly first time. I don’t know if it’s as invisible as it could be, but it’s as near as damn it. the bust darts fell into place really well and didn’t need changing at all. 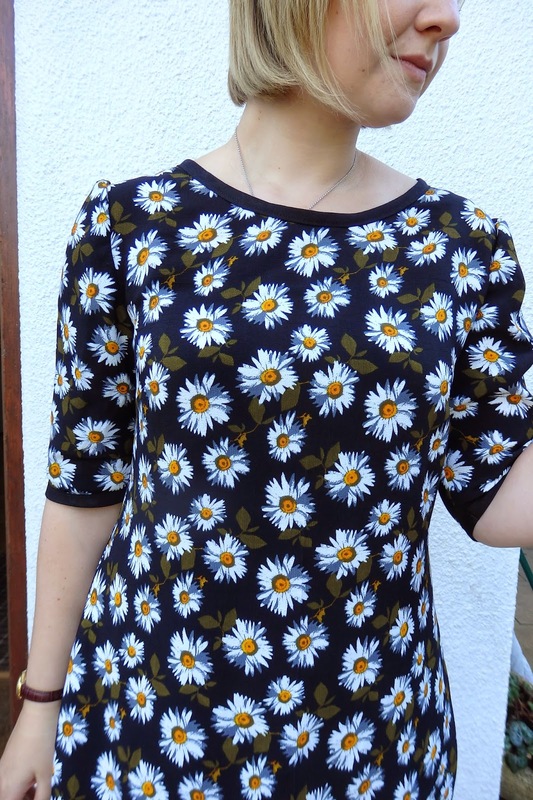 I kinda cheated with the bias binding for the sleeves and neckline, in that I sewed it with the machine rather than hand stitching it. Although, I did stay true to the pattern and catch stitched the hem. 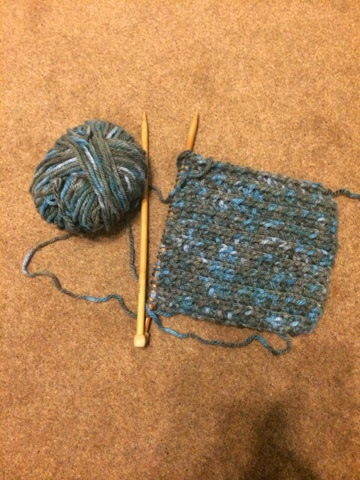 I’m quite proud of it and it didn’t take as long as I thought it would! It certainly looks nice for it, I’m glad that I didn’t just butcher it with the machine. but i’m half way through putting my phone down as it took the picture haha. 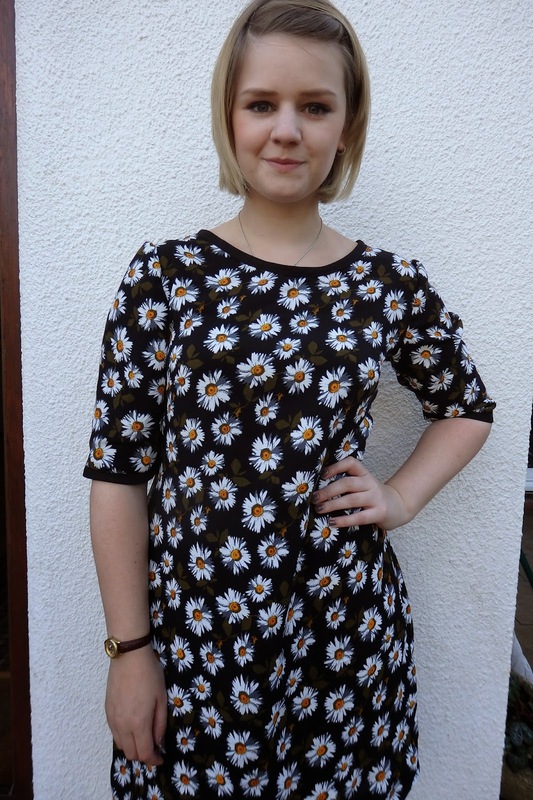 I’m definitely going to be making this dress again. I want to make a light weight denim or chambray version. I was thinking about taking the waist and hips in as I’ve got quite a bit of room, but in a less floaty material I might need the wiggle room. expect to see a few more soon! This is super cute dress! Sounds like the Laurel pattern was meant for you. So many have had issues with it (including me). I wish mine had turned out as lovely as yours. Looks gorgeous! 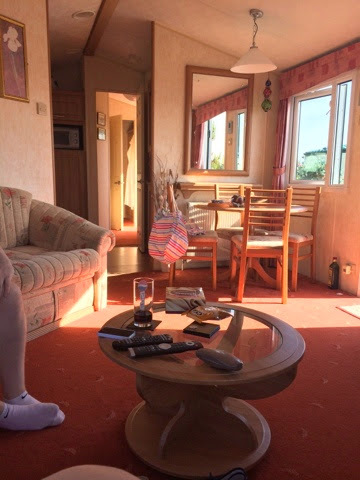 i love the fabric even if it was a pain… I've been meaning to ask where did you get your remote for your phone to take photos? hi tash! I've used regency rags a few times, but most of the time I just search for what it is I want, in this case I knew I was looking for crepe and this one caught my eye!